There are full shade perennials available with unique colors and textures for gardeners who must deal with a shady yard. With a wide selection of flowers and plants, there will be plenty to choose from. These will provide a splash of color to a dark corner or shaded area. The flowers or plants will create an exciting effect to dim flower beds year after year. 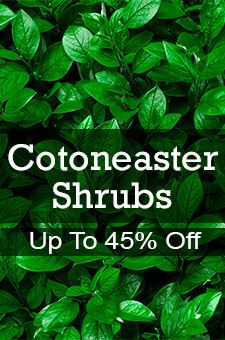 Choose light colored flowers or foliage and these shade tolerant plants will truly stand out. It is best to observe your shaded area before selecting the plants you wish to purchase. It is important to know if the area receives partial sun or partial shade which is 4 to 6 hours of direct sun per day; full shade is less than 4 hours of full sun per day. Dappled shade is a term used often, and it is the same as partial shade. Full shade perennials are a mainstay along borders, shaded paths, in pots or beside garden pools. Don’t cut back old foliage until spring since it does protect the plants through the winter; maintain a moist, rich soil during the growing season. Astilbe Radius and Bleeding Heart Spectabilis, ('Dicentra spectabilis) are two shade loving, flowering plants that are perfect for adding colors to a shaded garden. Don't forget to consider foliage plants such as hostas and coral bells. Hosta 'Fire Island' and Hosta 'Great Expectation' are wonderful choices because of their bright foliage and texture. And you cannot beat Heuchera Berry Smoothie (Coral Bell) for that jolt of color!